Geopolitics are back in focus on this first trading day of September. North Korea's push forward with another test on the nuclear front over the weekend caused U.S. Ambassador Nikki Haley to suggest that Kim Jong Un is "begging for war." And given that South Korea is saying that the North is prepping to launch an intercontinental ballistic missile, the situation appears to be heating up. In response, the U.S. is looking to hit Un's regime with even tougher sanctions via the U.N. In addition, it will be a busy week of "Fedspeak" with U.S. Federal Reserve officials Lael Brainard, Neel Kashkari, Robert Kaplan, and Bill Dudley (all voting members of the FOMC) slated to speak and the ECB meeting on Thursday. All of which is occurring as we enter what has historically been the weakest month of the calendar. But before we get carried away with speculation of what might come next, let's turn our attention to our objective review the key market models and indicators and see where things stand. 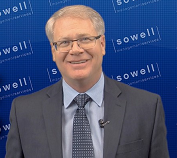 To review, the primary goal of this weekly exercise is to remove any subjective notions one might have in an effort to stay in line with what "is" happening in the markets. So, let's get started. Not surprisingly, the short-term Trend Model has improved on the back of the recent rebound. The short-term Channel Breakout System remains on a buy signal. A break below 2428 would turn this indicator negative. The intermediate-term Trend Model flip-flopped back to green last week. The intermediate-term Channel Breakout System remains on a sell signal and will require a move over 2491 to turn green. The long-term Trend Model remains healthy. The Cycle Composite remains negative throughout September. The Trading Mode models are currently all in mean-reversion mode. The short-term Trend and Breadth Confirm Model flipped back to green last week. 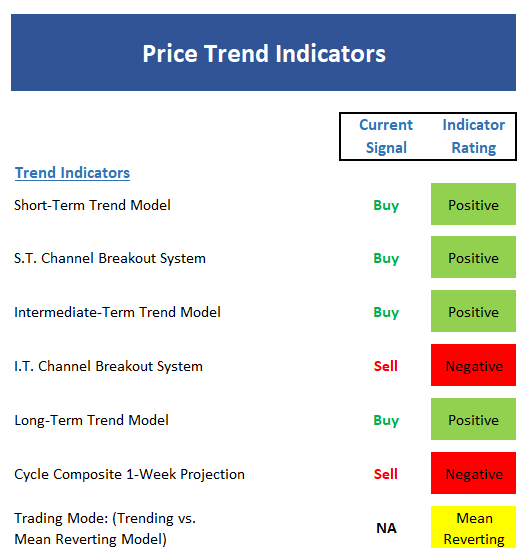 Ditto for intermediate-term Trend and Breadth Confirm Model. The Industry Health Model is still stuck in neutral. The intermediate-term Volume Relationship also improved a bit but demand volume remains in a downtrend. The Price Thrust Indicator managed to move up into the neutral zone - but not by much. The Volume Thrust Indicator moved up into the positive zone where historical returns are well above average. The Breadth Thrust Indicator also improved to positive last week. These are positive signs. Overall, while we can J20say that momentum is improving, it is by no means robust. From a near-term perspective, stocks are now in overbought territory. As a reminder, this is NOT a sell signal, but rather an indication that the "easy" move has already occurred. From an intermediate-term view, stocks are neutral and not yet overbought. This suggests the bulls have some room to roam from a technical perspective. The Mean Reversion Model did its job by signaling a nice short-term buying opportunity recently. However the model is now back in the neutral zone. 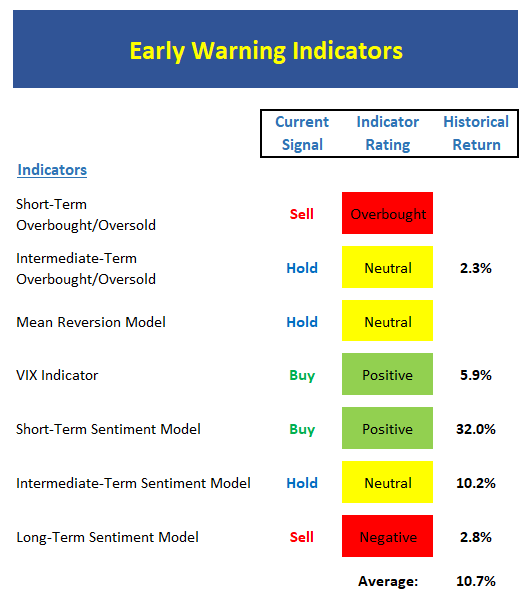 The VIX Indicator remains on a buy signal, but is now working toward a sell. From a short-term perspective, market sentiment is improving and still negative enough to be positive. 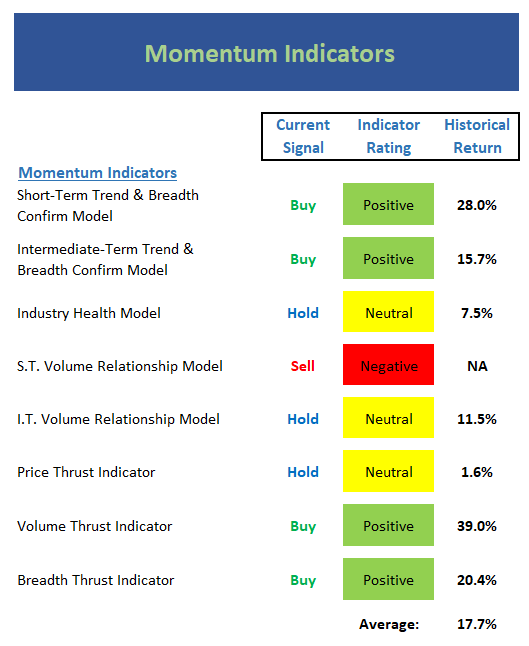 The intermediate-term Sentiment Model remains neutral. Longer-term Sentiment readings haven't budged and remain negative. Absolute Monetary conditions have weakened a bit recently and are neutral. The Relative Monetary Model continues to improve as rates hover near the lows of the year. Our Economic Model (designed to call the stock market) is weakening and now neutral. However, the model designed to call the economy still suggests strong growth ahead. The Inflation Model is now solidly neutral. This tells us the Fed may have trouble using inflation as cover to lift rates much farther. Our Relative Valuation Model continues to improve within the neutral zone and could turn bullish if rates move lower. The Absolute Valuation Model continues to be in overvalued territory. 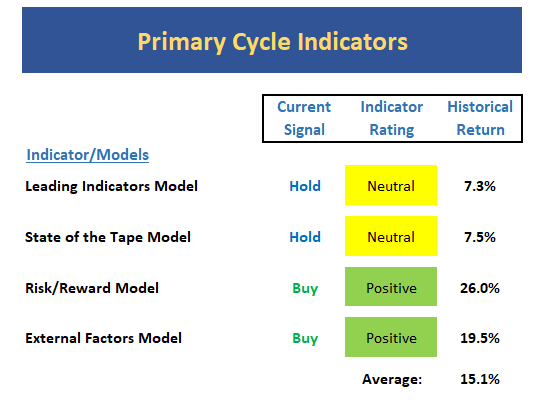 The Leading Indicators model, which was our best performing timing model during the last cycle, has weakened significantly and is only a stone's throw from flashing red. However, for now, the model is neutral. The Tape continues to muddle along in neutral/moderately positive mode. The Risk/Reward model remains modestly positive on the back of the recent move in rates. 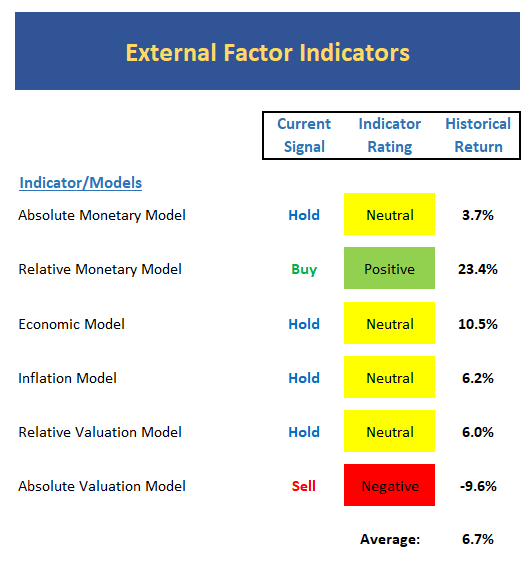 The External Factors model has also benefited from the move in rates and remains positive. The keys this week are (a) the trend and momentum indicators have improved a bit but are nowhere near robust, (b), rates continue to be a tailwind for this market, (c) seasonality clearly favors the bears, (d) valuation levels suggest risk is high, (e) event risk remains, and (f) it's a bull market until proven otherwise. Publishing Note: I am traveling with early commitments the rest of the week and will publish reports as my schedule permits.